After giving up on their plans to allow listing of crypto-based derivatives and instruments like bitcoin futures on exchanges due to a viewpoint that these products are overly susceptible to speculation in December, Japan’s Financial Services Agency (FSA) is now reportedly looking into exchange-traded funds (ETFs) that track the digital assets. The FSA is currently gauging industry interest in ETFs tracking digital currencies, Bloomberg reported, citing "a person familiar with the agency’s thinking." 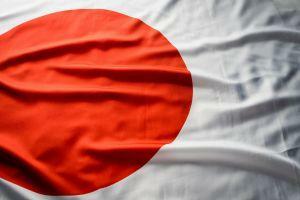 It is estimated that such ETFs in Japan could revive appetite from retail investors. Japan’s ETF market is worth USD 335 billion (with about 75% owned by the central bank), compared with the USD 3.7 trillion worth of ETFs outstanding in the U.S., according to the report. So far, U.S. and European regulators have not approved ETFs, citing worries about price manipulation or the security of the underlying crypto assets. Securities lawyer and cryptocurrency commentator Jake Chervinsky estimates that the U.S. Security and Exchange Commission (SEC) will never let a Bitcoin ETF happen. Commenting on the rumors that this instrument might soon go public, Chervinsky said that "a proposed rule change is auto-approved if the SEC doesn’t make a decision by the deadline, but in reality, it would never happen." As for ETFs themselves, some experts do not trust them either. Tyrone Ross, a Managing Partner of NobleBridge Wealth, an investment management and strategic wealth planning firm, said that he wasn’t a fan of Bitcoin ETF, and wouldn’t let his clients “go near it.” He is certain that cryptocurrencies inside of an ETF would only confuse people who don’t understand crypto or ETFs that well to begin with. And he is not alone. Andreas Antonopoulos, a Bitcoin evangelist and serial entrepreneur, also thinks ETFs are a terrible idea and that they “fundamentally violate the underlying principle of peer-to-peer money, where each user is operating not through a custodian but has direct control of their money, because they have direct control of their keys.” He warns that Bitcoin ETF might become an instrument to manipulate bitcoin prices. In the meantime, physically delivered bitcoin futures have been the buzzword in the crypto world lately, with Bakkt and Eris Exchange LLC expected to start offering such contracts early 2019. Moreover, CoinfloorEX (formerly a unit of the UK Bitcoin exchange Coinfloor, and now to be called Coin Futures and Lending Exchange – CoinFLEX), intends to offer the derivatives of some of the largest cryptocurrencies to Asian retail investors as early as February, Bloomberg reported on Monday.